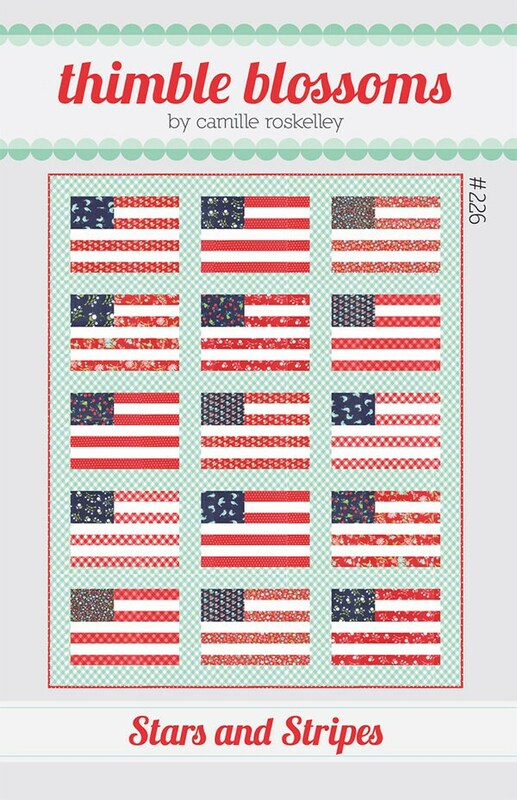 Stars and Stripes Quilt Pattern by Thimble Blossoms for Moda Fabrics (TB-226) - Fat Quarter friendly! This patriotic quilt is the perfect addition to your summer picnic! Pattern is suggested to be used with Bonnie Camille Wovens, which will be released in May 2019.